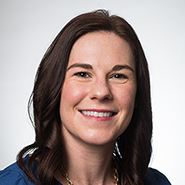 MILWAUKEE — The national law firm of Quarles & Brady LLP today announced that Emily Fons, an associate in the Firm's Milwaukee office, has been selected as a 2019 "40 Under 40" honoree by the Milwaukee Business Journal. The Milwaukee Business Journal "40 Under 40" Awards recognizes 40 Milwaukee-area individuals under the age of 40 who are making a difference in their professions and communities. Fons is a member of the Firm's Business Law Practice Group and focuses her practice in mergers and acquisitions, antitrust law and general corporate law. She represents both buyers and sellers in stock and asset acquisitions and divestiture transactions and regularly advises publicly and privately held businesses in general corporate and commercial matters, including business planning and entity formation. In the area of antitrust law, she routinely assists clients with respect to joint venture and merger-related antitrust matters, including preparing and filing reports required under the Hart-Scott-Rodino Antitrust Improvements Act. Fons received her undergraduate degree from Marquette University and her law degree from University of California-Hastings College of Law. Fons is actively involved in the firm's pro bono efforts. In partnership with the Milwaukee Justice Center and Marquette Volunteer Legal Clinic, she created a legal aid clinic at Sojourner Family Peace Center. In addition, she is the coordinator of the firm’s Domestic Abuse Injunction Lawyer-for-a-Day Project. The award ceremony will be held on Monday, March 4 at The Pfister Hotel in Milwaukee. The Business Journals is the industry leader in covering business news from a local, regional and national perspective, reaching more than 10 million affluent business decision makers via websites, mobile, publications and industry events.